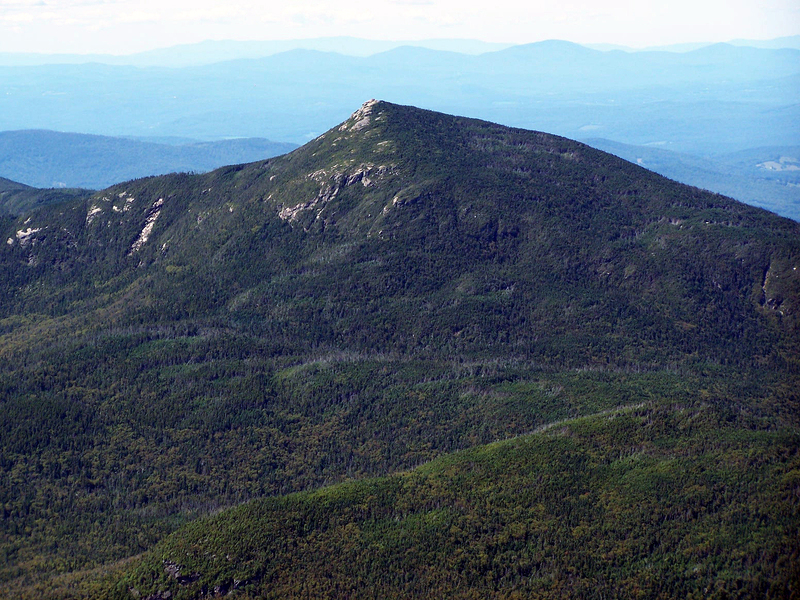 Mount Garfield is located on the Garfield Ridge trail and connects the mountains of the Franconia Ridge to the Twin Mountain range. The summit is bare and has spectacular views down into the Pemigewasset Wilderness especially and a close up view of Owl's Head Mountain. There is an old foundation on the summit from a fire cabin that was taken down a long time ago and it comes in very handy when the wind is blowing fast! Garfield Trail: 5.0 miles, elevation gain of 3,000 feet. The Garfield Trail is located on the Gale River Loop Road off Route 3 in the Twin Mountain area. The trail has easy to moderate grades and good footing and is in the woods the whole way. Garfield Ridge Trail: 3.1 miles, elevation gain 1,400 feet (From Galehead Hut)...3.5 miles, elevation gain of 1,000 feet (From Mount Lafayette). The Garfield Ridge trail on paper may not seem to daunting but with it's rough footing and many annoying up and downs (I've lost count) it makes for a very tiring hike. From Galehead Hut to within a mile of Mount Lafayette summit it is below treeline and has almost no views just one minor elevation gain and loss after another...I refer to this trail as "The Dreaded Garfield Ridge Trail". The steepest part of the trail is a .8 mile section just north of Mount Garfield summit to the Franconia Brook Trail Junction that usually has some wet rocky slippery sections. The Garfield Ridge Campsite is located a couple of hundred yards off the trail .4 miles north of the summit of Mount Garfield.